I didn't like the cake part of cupcakes. I ate the toppings and the fillings. Come to think of it - I never changed. As I wrote the following post I was aware that there was a bit of romancing the food memories going on in my head. Let me state right now: I am aware. I examined my feelings in this area and am letting it go as a memory from happy times in my childhood. The adult memories of these foods was not so good. No romancing is going on during those parts of the post. I have fond and sad memories of Hostess products. 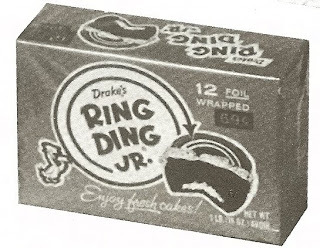 From eating the icing off the top of the orange cup cakes and the filling within (but not the cake itself), to sucking all the filling out of the Hostess cherry pies the car dealership gave away on President's Day, Don't get me started on Hostess's other line, the Drake's Cakes branch. 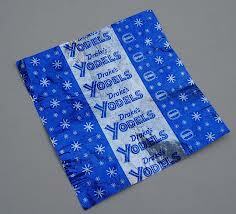 I still remember every Ring-Ding and Yodel I snitched from our house. I had many a tummy ache that started with a Hostess product. 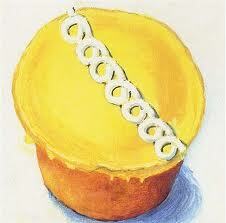 a Ring Ding that was not a Jr.
As a child, I grew up (and out) on Hostess. As a high school student I was always dieting and got away from Hostess and Drake's Cakes. Then came college and baking my own cookies and cakes. Who needed Hostess when there were cook books using amazing ingredients found in every supermarket. I remember the day I was again a hostage of the Hostess Family. I was staying for a weekend Larry's parents . My future mother-in-law brought home, in her food shopping for the week, a box of 20 Twinkies. I had never seen that size box of Twinkies. I ate three after dinner and by the next evening they were all gone. She could not figure out where all the Twinkies had gone - that day. Within a few weeks I was gaining weight so fast it was pretty obvious where the cakes were going. may have played together as kids. Over the decades they started to add more 'enriched' ingredients, high fructose corn syrup, soy by-products and cheaper, shelf-stable chocolates and such. Real flavors disappeared and returned as "flavorings". The products were no longer what I remembered. As I lost weight over this last decade, I used to joke that as a result of my efforts in keeping the pounds off, four bakeries, a regional ice cream company and two pizza chains went out of business. Now Hostess is very likely gone. It really disappeared back when they changed their recipes. I do not lament the products. I am sorry so many people are losing their jobs. That is the only tragedy. Is pressing caulk into masonry holes the same as piping cream into Twinkies? I do not know how transferable their worker's job skills will be. I wish them the best of luck in find new work. It's amazing, the connection--and "like" experiences we food addicts share. HI Jane! I *knew* you'd write about this. I heard that Hostess news and thought about you immediately! I have similar stories regarding family-sized bags of M&Ms. I doubt they will disappear. You know... they don't pipe the filling. It is all done by machine. My mom used to lock Twinkies in the chest freezer. Kids were allowed to retrieve them for her, but not have any. Adios Twinkies and good riddance if they should happen to go away permanently! That said, I used to dream of apple pies and would occasionally get one when we went to the Hostess surplus and I had strangely found myself in my mom's favor. I still remember their smell and how I ate them. Weird. It's unfortunate that people are going to lose their jobs especially around holiday time. I hope that they can find other forms of employment in their future. However I am not sad to think of a world without those types of dessert and snack options. Trying to tell my son that those sugary choices are bad for him and offer healthy choices is difficult when "All the other kids have desserts, plus they are in an individual little package"
They are not presents, no matter how cute the package may be and opening a snack cake should not feel like Christmas.